Despite giving myself a headache taking photos (where is all the lovely light?) I have managed to join in with Five Under £5 this month. You can read more about the linky over on Julia’s blog, Rainbeaubelle and join in yourself with a blog post or Instagram photo. I’ve not really been buying loads recently and when I do it tends to be things I’m putting away for Christmas presents. The twins turn three two days after Christmas so I’m trying to make sure I am organised early as last year was a bit of a last minute panic. 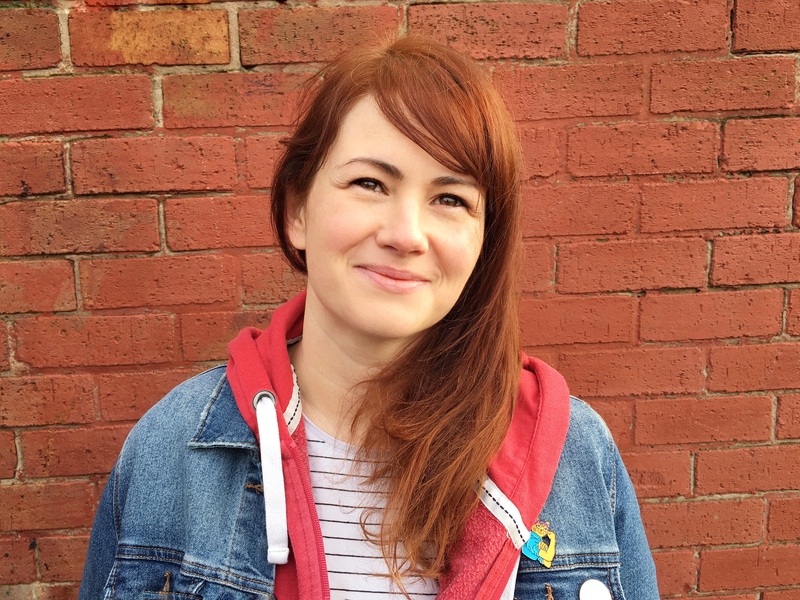 However, I have managed to rustle up a few bargains I found this month to share with you. Aldi turns into my favourite shop this time of year, they get so many great things in for Halloween and Autumn and I picked up these two mini squashes when I did my food shop. They were 89p each, I limited myself to just two and I think they are super cute. I’m not entirely sure if I will cook with them or just keep them as decorations – at the moment Boo has taken a shine to them and carries one around the house so we’ll just see how that goes. I also got a big pack of lovely grey yarn which was £3.99 for a four pack and I’ve been trying to make my own hand warmers with it. I’m part way through my first attempt and I think I’ve gone wrong somewhere on these but hopefully I’ll get some made before it gets too cold. 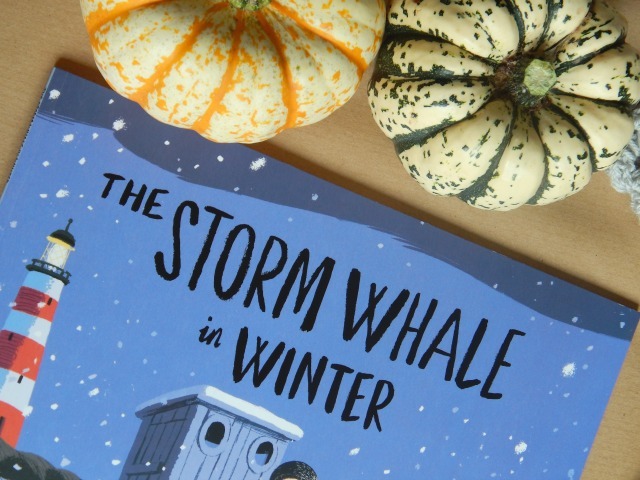 I’ve been steadily buying children’s books for a while now that go away for Christmas or for presents for other children and I was so pleased when I saw The Storm Whale in Winter had been released. We are massive fans of Benji Davies, I love his illustrations and the stories are always so heart warming. 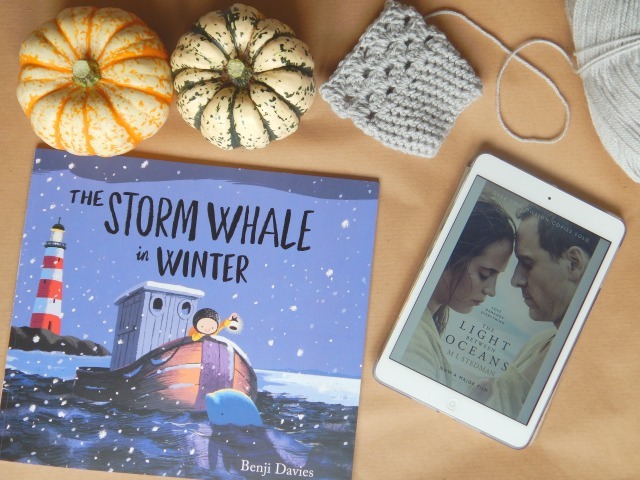 All the boys love the original Storm Whale so I ordered this from Amazon. I’ll either keep it for Christmas or pop it into our December book advent. I can’t recommend his books enough, they are short enough to keep the twins interest and Lucas still enjoys them as well. 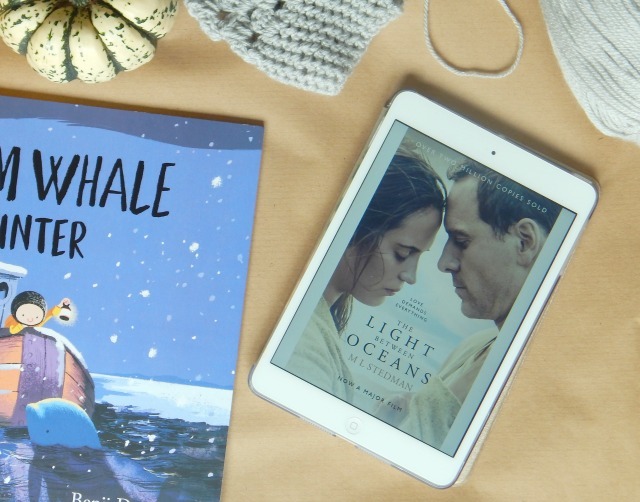 Lastly I bought The Light Between Oceans on my Kindle last month, I think I got it on a daily deal for 99p but I’ve just checked and it is still under £5…just! I’m still not entirely sure how I feel about it, think I’ve changed my rating of it on goodreads several times. I absolutely love the way it’s written, it’s quite poetic and jumpy and reading other reviews it seems people either love it or hate it. The story is heart-breaking and I don’t usually read sad books but I got swept up in this one. It’s so moving and even though I don’t think I ‘enjoyed’ reading it I still think it’s a great book. There is a film coming out in a few months and movie tie-in book covers are a bit of a pet peeve of mine but I’m not really going to complain when Michael Fassbender is on the front! Hopefully I’ll have some more exciting things to share next month, I’m eagerly awaiting a trip to Lush to see the Christmas range so I suspect that will feature heavily! This post contains affiliate links which means if you buy a book from my link I will receive a small commission but it won’t cost you any extra.